The ISO 7492 describes methods for testing dental probes. The probe handle is clamped parallel to the tensile direction. 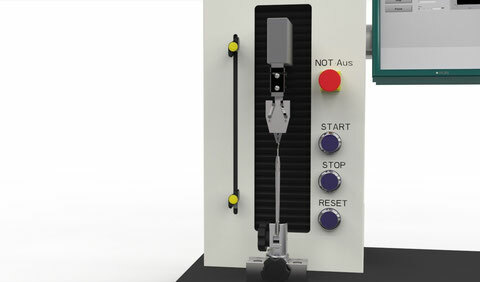 At a pulling speed of 25 mm / min, a load of 600 N is established for 5 seconds.